Many associate Salmonella with eggs—for good reason. In 2010, for instance, more than half a billion eggs were recalled due to Salmonella outbreaks. 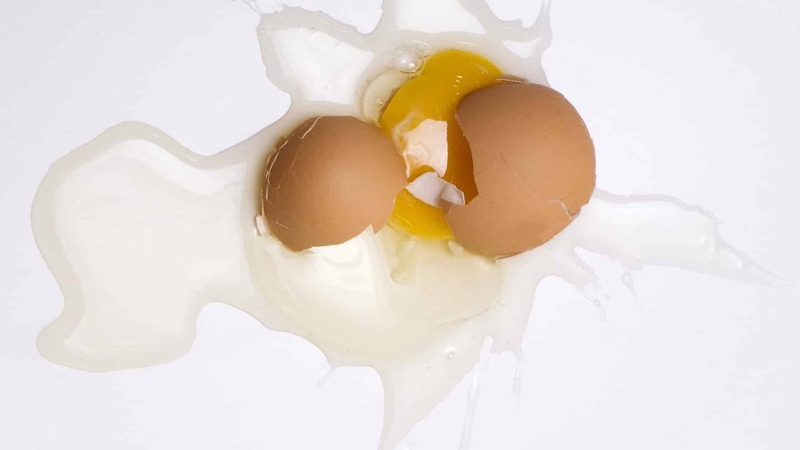 Salmonella in eggs may survive scrambled, over-easy, and sunny-side-up cooking methods, as well as in cooked omelets and french toast, and perhaps even in eggs boiled up to eight minutes. 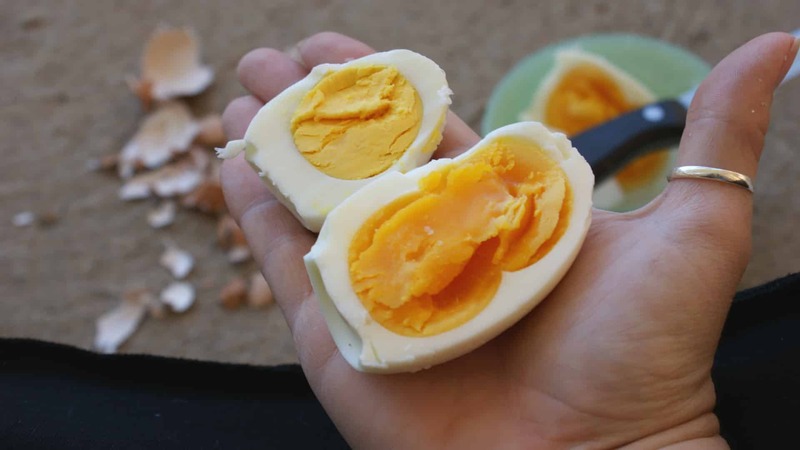 Salmonella concerns aside, some experts suggest that eating even one egg a day may exceed the safe upper limit for cholesterol intake in terms of cardiovascular disease risk. Dietary cholesterol may also contribute to nonalcoholic fatty liver disease, and cholesterol consumption was found to be a strong predictor of cirrhosis and liver cancer. Those consuming the amount of cholesterol found in two Egg McMuffins or more each day appeared to double their risk of hospitalization or death. Compared with men who rarely eat eggs, men eating even less than one egg a day appear to have twice the risk of prostate cancer progression. 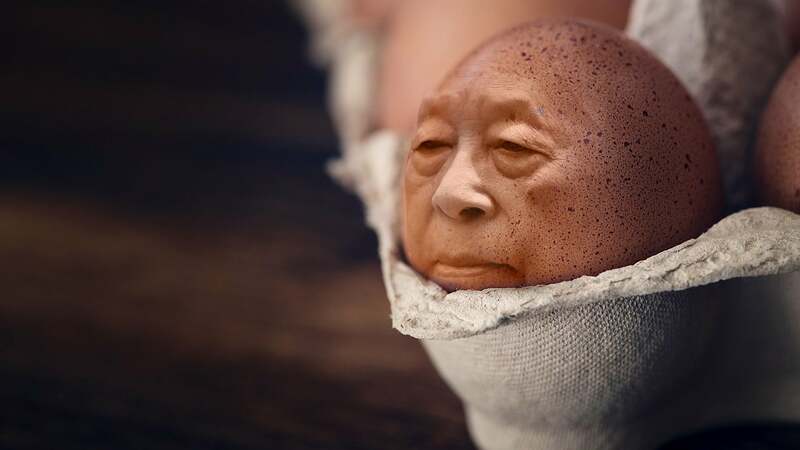 And, men who consume two and a half or more eggs per week—basically an egg every three days—may have an 81 percent increased risk of dying from prostate cancer. 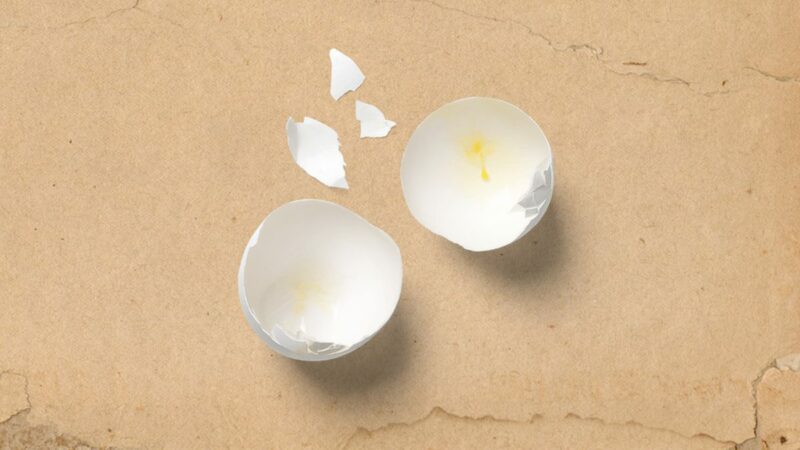 How could eating less than an egg a day have such potential impact on cancer risk? 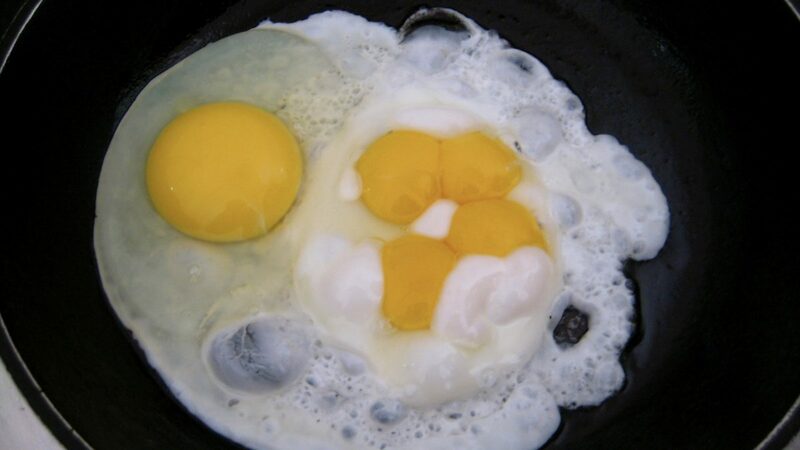 The answer may be choline, a compound found concentrated in eggs. 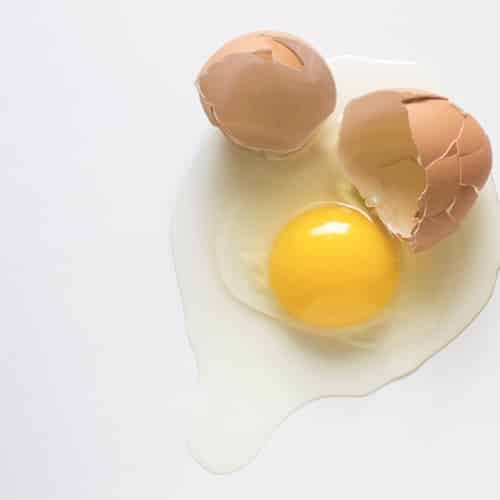 The choline in eggs, like the carnitine in red meat, is converted into a toxin called trimethylamine by bacteria existing in meat-eaters’ guts. Trimethylamine, once oxidized in the liver, appears to increase the risk of heart attack, stroke, and premature death. Image Credit: razahaza / Thinkstock. This image has been modified.